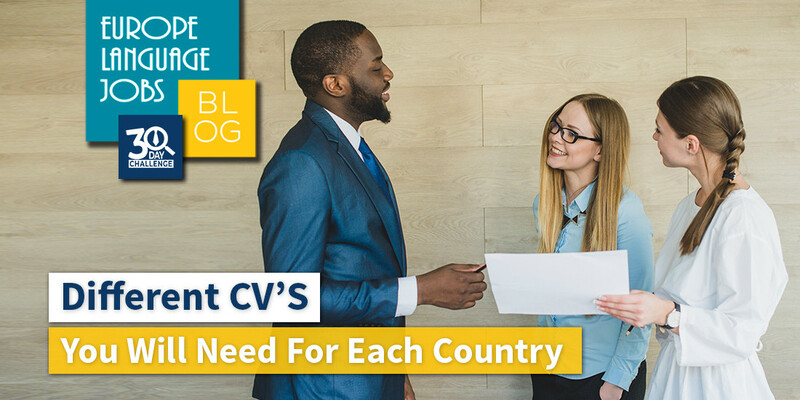 You should be tailoring your CV to each position you apply to, you've probably heard that before, you may not be aware however, that this is true for different countries as well! Do you include a picture? Should you put experience or qualifications first? How long/short it be? 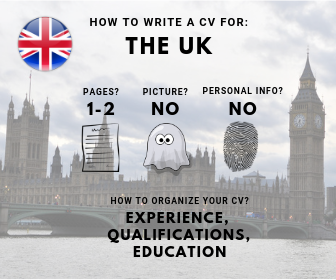 Take a look at these infographics we’ve made to show you the different CV’s you’ll need for each country you apply to. We'll begin by taking a look at Southern Europe: Spain, Portugal & Greece and head North from there! 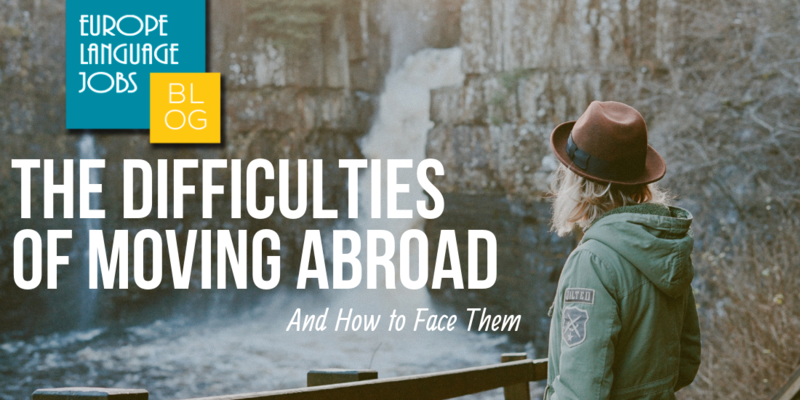 The norms in Southern Europe are much less strict than their Northern counterparts, you will find that personal information is welcome as is expanding on your experiences and achievements. Have your experiences arranged in reverse chronological order and have the relevant, recent experiences at the top. 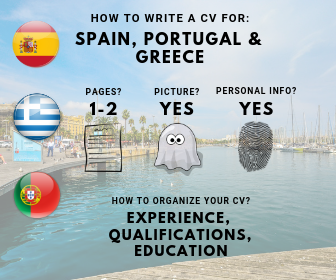 A photograph is seen as mandatory and a CV without one is a tell-tale sign of a recent expat! Similarly to Southern Europe, a picture on your CV is welcome but on the condition it is a professional image. Unlike the UK (as you will see below), is that education trumps experience in Germany and so that’s why you should arrange your CV as recommended in the infographic: Education, Qualifications THEN Experience. Ok, but does this differ from the UK? The UK is a popular destination largely because the jobs and salaries are better than those you'll find in Southern Europe. Things are a little more formal here and you don’t want to exclude yourself from consideration for a position by making a small mistake on your CV! One such mistake would be to put a picture on your CV, due to strict laws in the UK related to hiring people due to their appearance (it shouldn’t be this way but unfortunately it happens) putting a photograph on your CV can mean your application will not be considered as HR/hiring managers don’t want to take the risk of being accused of hiring someone down to their appearance. 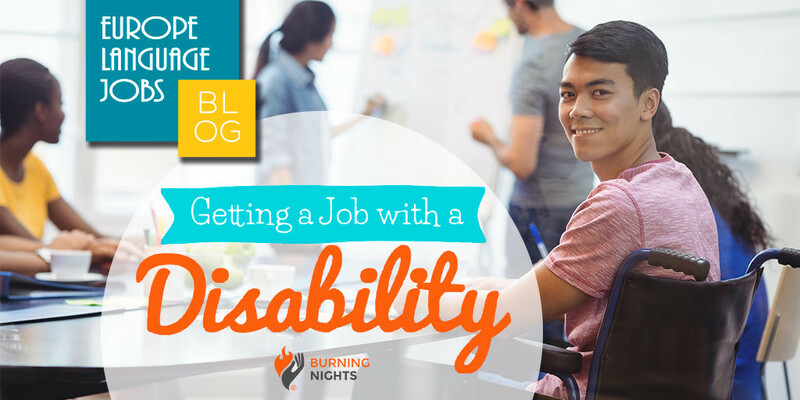 Similar to other destinations on our list, it’s important not to have to meaty a CV, you don’t need to include every single experience/volunteering gig you’ve ever had, include anything relevant to the position you’re applying for. Your experience should come first, followed by qualifications & finally your education, it’s all about the job! 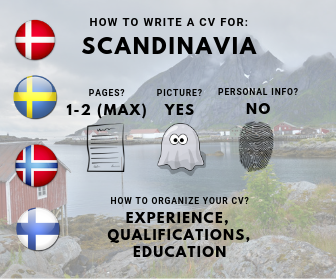 In Scandinavia, CV expectations are similar to the UK but have elements of Central & Southern Europe. Your work experience is more important than your education but you can include a photograph & personal information. 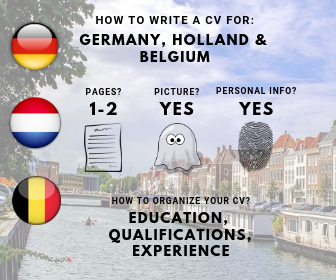 So that’s your CV guide for applying to different countries in Europe, make sure to refer back to this when you’re applying to different countries/regions so you don’t fall foul of the different expectations and give yourself the best chance of getting the job! On the theme of giving yourself the best chance of getting the job, take a look at 9 common interview mistakes to make sure you never make them! Who knows, if you win the two-week trip abroad courtesy of ESL you may decide you want to stay there longer two weeks and so this advice could come in very handy for you! As anyone currently looking for employment knows, job seeking is an activity that required patience, persistence and self-belief.